More than half a century ago, Akira Kurosawa pushed his creative powers to new limits with a film that merged grueling shoots, an unprecedented budget, and an all-star cast to change Japanese cinema forever. Seven Samurai, arguably the greatest film ever made in Japan, combined brilliant performances, revolutionary camerawork, and a respect for period accuracy to create something audiences around the world had never seen before, and it’s still remembered as one of the great movie epics. It’s a flawless film, but making it wasn’t easy. 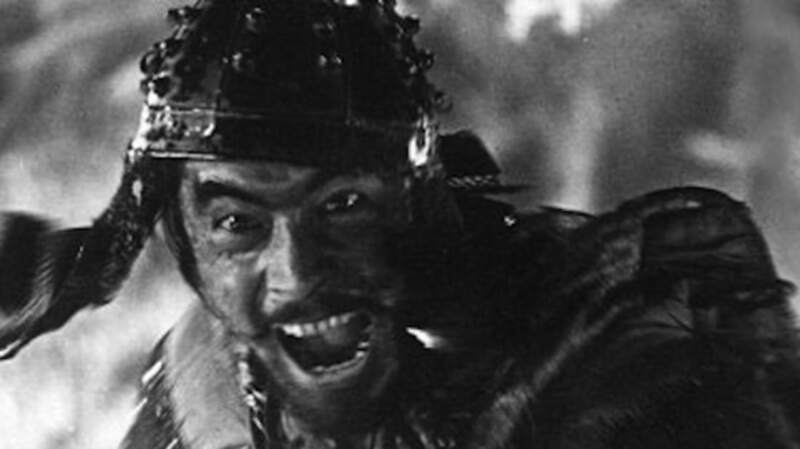 To find out why, check out these 16 facts about how Seven Samurai became a masterpiece. 1. IT WAS AKIRA KUROSAWA’S FIRST SAMURAI FILM. He’s known now as the genre’s greatest master, but Kurosawa was more than a decade into his career as a director before he made Seven Samurai. It’s the most ambitious and praised of all of his samurai films, but while other directors might have built up to such a massive project, this was actually his first samurai movie. Other classics, including Yojimbo (1961) and Sanjuro (1962), would follow. 2. IT BEGAN AS THE STORY OF A SINGLE SAMURAI. When Kurosawa first set out to make a samurai film, he sat down with screenwriter Shinobu Hashimoto and outlined the idea of a “day in the life” story about a single samurai. The film would be an intimate portrayal of a warrior who got up in the morning, had his breakfast, went to work at his master’s castle and then, after making a mistake, would be so disgraced that he would return home and commit ritual suicide. Kurosawa ultimately scrapped that story, and instead pitched the idea of a film that would cover a series of five samurai battles, based on the lives of famous Japanese swordsmen. Hashimoto went off to write that script, but Kurosawa ultimately scrapped that idea as well, worrying that a film that was just “a series of climaxes” wouldn’t work. Then, producer Sôjirô Motoki found, through historical research, that samurai in the “Warring States” period of Japanese history would often volunteer to stand guard at peasant villages overnight in exchange for food and lodging. From that, Kurosawa and Hashimoto developed the idea of a group of samurai hired by peasants to protect them from bandits, and Seven Samurai was born. 3. THE BUDGET WAS UNPRECEDENTED IN JAPAN. At the time Seven Samurai entered production, most major Japanese films cost around $70,000. Because Kurosawa demanded the authenticity of things like a fully constructed outdoor village location, and because of frequent production challenges, the shoot dragged on and eventually took a year to complete. As a result, the budget ballooned to nearly $500,000—a massive sum at the time. 4. KUROSAWA PROTESTED PRODUCTION DELAYS BY GOING FISHING. As the production process of Seven Samurai grew longer and longer, producers grew worried that Kurosawa was spending too much on the film. As a result, production was closed down “at least twice.” Instead of arguing, Kurosawa simply left to go fishing, believing that the studio had already invested so much money into the film that they wouldn’t simply scrap it. He was right. 5. SOME OF THE CHARACTERS WERE BASED ON REAL HISTORICAL FIGURES. Because copious research into the lives of samurai was done as part of the writing process, some of the characters were ultimately based on real historical figures. For example, the cold master swordsman Kyuzo (Seiji Miyaguchi), was based on Miyamoto Musashi, one of the most famous samurai who ever lived. 6. KUROSAWA MADE DETAILED CHARACTER NOTES BEFORE THE SCRIPT WAS EVEN WRITTEN. Seven Samurai was written over a period of six weeks as Kurosawa, Hashimoto, and co-writer Hideo Oguni holed up in a hotel room in Atami, working so hard they didn’t even take phone calls. Even before the scripting process began, though, Kurosawa filled a notebook with detailed notes on each of the seven main characters, including their heights, ages, emotional dispositions, and reactions to battle. Many of his initial character instincts remain in the final film: For example, Kurosawa always imagined frequent collaborator Takashi Shimura in the role of Kambei Shimada, the leader of the seven. 7. IT ORIGINALLY OPENED WITH A BATTLE SEQUENCE. The film’s famous opening shot features a group of bandits riding over a hilltop and then debating whether or not to attack a village below. According to Hashimoto, the film originally started with those same bandits actually attacking another village, and the ultimate opening shot was what happened after that attack. Kurosawa decided to cut the attack sequence, believing an “unassuming” start was the best way to open the film. 8. IT STARS SEVERAL FREQUENT KUROSAWA COLLABORATORS. Throughout his career, Kurosawa developed a kind of stock company of actors who he frequently turned to, and several of them have key roles in Seven Samurai. Most famously, Toshirô Mifune worked on 16 films with Kurosawa, including Stray Dog (1949), Throne of Blood (1957), and Yojimbo (1961). Yoshio Tsuchiya, who played the villager Rikichi, went on to work with Kurosawa in Yojimbo, Sanjuro, Red Beard (1965), and more. The most prolific collaborator, though, was Takashi Shimura, who acted in 21 of Kurosawa’s 30 films as a director, including Ikiru (1952), Throne of Blood, The Hidden Fortress (1958), and Kagemusha (1980). 9. THE MAIN THEME WAS ORIGINALLY THROWN AWAY. For Seven Samurai, Kurosawa again worked with friend and collaborator Fumio Hayasaka, who also composed the scores for classics like Stray Dog (1949) and Rashômon (1950). Hayasaka composed several pieces for the film, but when he played them for Kurosawa, the director rejected them. Desperate for something that would please the filmmaker, Hayasaka decided to play him a piece he’d composed and then discarded. Kurosawa liked it, and it ultimately became the “Samurai Theme,” the most famous piece of music in the film. 10. SEIJI MIYAGUCHI INITIALLY TURNED DOWN HIS ROLE. Seiji Miyaguchi was offered the role of Kyuzo, the film’s greatest swordsman, and he wanted to turn the role down because he’d never done any movie swordplay before. Kurosawa convinced him that he would make the sword scenes work through camera angles and editing, and Miyaguchi ultimately agreed to take the part. Shortly before shooting, he took a two-day “crash course” in swordplay, and by the end he was so exhausted he could barely move when photography actually began. 11. TOSHIRÔ MIFUNE STAYED IN CHARACTER AT ALL TIMES. 12. KUROSAWA’S LIGHTING TECHNIQUES CAUSED AN EYE INJURY. For the love scenes between Shino (Keiko Tsushima) and the Katsushiro (Isao Kimura), Kurosawa wanted to achieve a “glittering” effect in Shino’s eyes. To do this, he used angled mirrors on the ground to reflect light up onto her face. Because of constant retakes, Tsushima’s eyes were ultimately injured by overexposure to the glaring light. 13. TWO DIFFERENT FIRE SEQUENCES DIDN’T GO AS PLANNED. For the scene in which Gisaku’s (Kokuten Kôdô) mill is burned down by the bandits, the crew initially covered the mill in fabric in order to light it on fire without burning the entire structure—the theory being that they could then keep shooting at the location without destroying the mill. Ultimately, according to assistant art director Yoshirô Muraki, this made the set “soggy” and future takes only produced smoke, not fire. In the end, the mill was rebuilt and burned down three times in order to get all of the footage Kurosawa needed. Even more dramatic was the sequence in which the samurai and the villagers burned down the bandits’s fortress. According to Tsuchiya, the production had to have a fire truck standing by on-set in case of emergency, but all of the nearby fire trucks spent the day fighting actual fires. So, the crew simply had to wait for a truck to arrive. In the interim, Kurosawa and his crew sprayed gasoline around various part of the fortress set, in order to be sure it would burn thoroughly. When the time came to actually shoot the sequence, the fire started much faster and burned much hotter than expected, but the cast still had to work hard to get it done in one take. As Kurosawa shouted “Keep going!” off-camera, Tsuchiya had to approach the door of the fortress in an attempt to save his character’s wife. As he did, the roof collapsed, and the rush of hot air severely burned his windpipe. Tsuchiya also noted that, by the end of the shoot, the fire had grown so hot that it burned the grass on the cliffs above the set. Kurosawa was apparently so stressed by the ordeal that he cried as firefighters extinguished the blaze. 14. IT CHANGED KUROSAWA’S SHOOTING TECHNIQUE FOREVER. For several scenes, particular the climactic battle, Kurosawa knew there were pieces of action that he could only capture once. So, to maximize coverage of the action, he set up three different cameras at various points on the village set, and later cut the footage together to create a dynamic sequence of events. This, combined with telephoto lenses that allowed the cameras to zoom in on the action, created a revolutionary filmmaking style that Kurosawa continued to use throughout his career. 15. THE FINAL BATTLE WAS A GRUELING EXPERIENCE. Seven Samurai was never supposed to be in production for as long as it was. This meant that the final battle sequence, which was originally set to be filmed in the summer months, was shot in February. Shortly before the filming of the sequence began, heavy snow fell, which meant the crew had to water down the set in order to melt the snow. That, plus the scripted plan to shoot the sequence in a dramatic torrential downpour, meant that the cast was working in deep, thick mud. Because it was the dead of winter, the mud would often grow frozen, leaving the cast—in their period-accurate sandals—freezing as they tried to carry out the action. Kurosawa himself, who stood in the mud with his actors, apparently grew so cold that he started to lose his toenails. 16. KUROSAWA HAD THE PERFECT DESCRIPTION OF THE FILM. Criterion Collection DVD commentary by film historian Stephen Prince.